The Rev. Canon Abbott Bailey serves as the Episcopal Diocese of California's Canon to the Ordinary. She began her new ministry in the diocese February 20, 2018. Before her call to DioCal, Canon Bailey served for a decade as the rector of St. Andrew’s Church in Richmond, Virginia. In that role, she also served as chaplain and board member at St. Andrew’s Episcopal School and co-executive director of Grace-on-the-Hill, an Episcopal Service Corps Program. Prior to that role, she served as an associate rector at St. Stephen’s Episcopal Church in Richmond. Canon Bailey received a Master of Divinity from Yale Divinity School, Anglican Diploma from Berkeley Divinity School, and Certificate in Liturgical Studies from the Institute of Sacred Music. Prior to ordination, Canon Bailey worked as an executive in several regional and statewide nonprofit organizations in the areas of community health care, health policy, and health philanthropy. She has a Master of Public Administration with honors from The George Washington University, and a B.A. from Eckerd College. 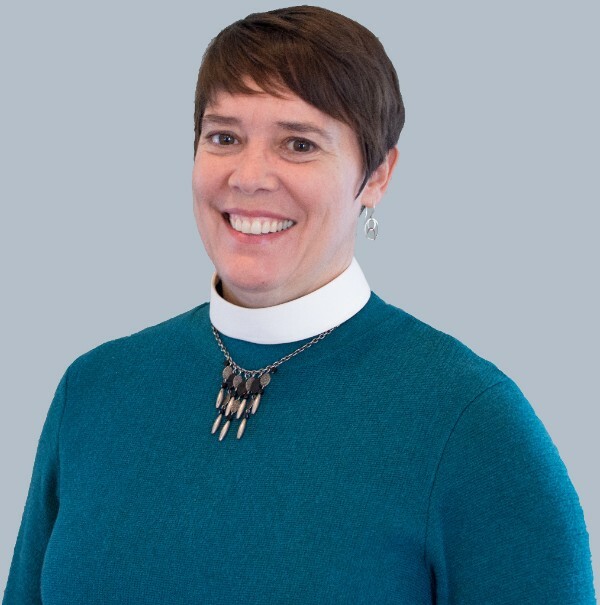 She has served on the Standing Committee and the Commission on Lay Ministry in the Diocese of Virginia and was the Dean of the Central Richmond Region. Originally from West Virginia, Canon Bailey maintains a great love of the outdoors and enjoys wandering in the wilderness, tending her “beautiful mess” of a flower garden, and taking long meandering walks with her pup, Alice.